Rating: 83 percent based on 875 votes. 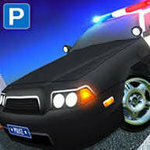 Description: Test your parking skills in this driving game. How fast can you park your car into the specified spots without hitting any other cars?